Replay Media Catcher for Mac brings many of the great features that our PC users have had for years to the Macintosh desktop while maintaining the simplicity that Mac users expect. 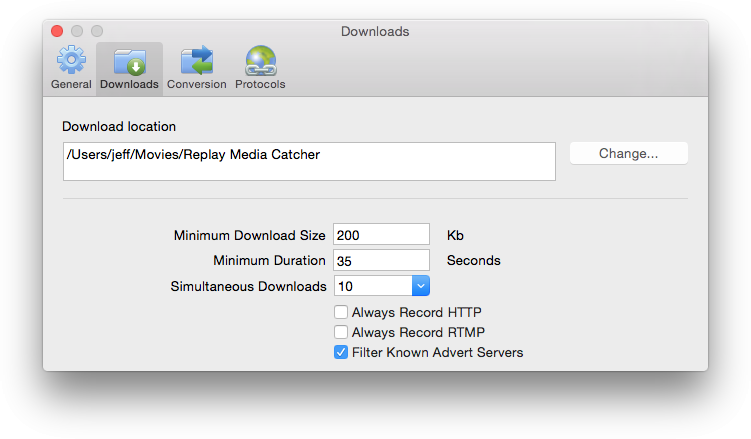 Using Replay Media Catcher for Mac is as easy as clicking the monitoring switch from to . Replay Media Catcher for Mac will then monitor your incoming network connections for media. As you surf the internet with your favorite browser, when media is identified, it will be saved. Replay Media Catcher for Mac is an easy, yet powerful way to capture video and audio files from thousands of web sites as they play in any web browser. These files can be transferred to smartphones or tablets, burned to a CD or DVD disc, or incorporated into other programs like Keynote or video editors. Replay Media Catcher locates the web address of the media file, reconnects to the host server, and makes an exact copy of the file on your Mac. Typically, this download process is much faster than actually playing the file. Replay Media Catcher also can make multiple simultaneous connections to further speed up the capture process. For example, download music from Pandora and videos from YouTube at the same time. Once the download process starts, you can close the video or audio player, and the file will continue to be captured. Note: Some web sites use encryption when streaming video. Replay Media Catcher cannot downloaded these encrypted streams. Other sites require the media to be recorded in realtime. If you save a lot of media, you might not want to view it all at once. With the History selection bar, you can choose to show all downloads, downloads that occurred Today, Yesterday, or only downloads that are currently In Progress. The Saved media listing will show you all of your media, based on the selection from the History bar. Clicking the header of each column will change the sorting order. The position of each column can be rearranged by drag and drop. 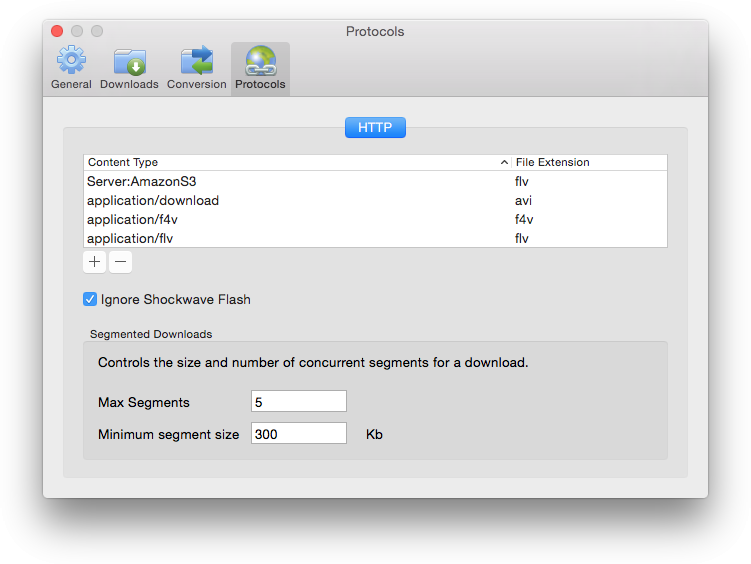 If you highlight a download, you will be given additional options to play , manually send to iTunes , or remove the item. The monitoring switch at the bottom left lets you turn on and off the monitoring of streaming media. When On, Replay Media Catcher will watch you network data for anything that appears to be media, and that media will be saved. The conversion settings pulldown will allow you to convert saved media automatically to various formats. The Default setting will convert your media into a format compatible with iTunes and iOS devices. If you want to convert to a format specific for a device, the pulldown offers many other options. If selected, all new downloads and respective conversions that are in iTunes compatible formats will be sent to the iTunes Library. If you have a very large number of saved files, the Search field can help find specific files. Convert: Performs an optimized (very fast) conversion on the file to the format chosen in the Conversion settings dropdown. Convert (Safe): Performs a non-optimized (slower) conversion on the file to the format chosen in the Conversion settings dropdown. 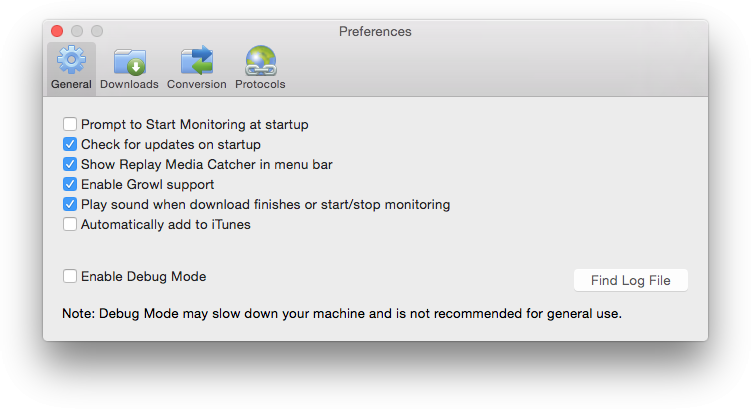 Prompt to Start Monitoring at startup: If checked, show the welcome video and wait to begin monitoring for media. 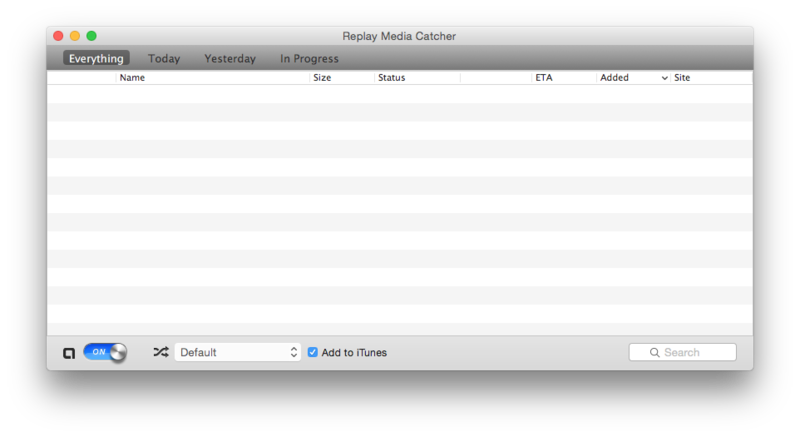 If not checked, Replay Media Catcher will automatically start monitoring when opened. Download location: Set the folder where you’d like to keep your downloaded media. Minimum Download Size: Specifies the smallest file that is saved. Many times when recording, small Flash animations or advertisement files can be captured. You can increase the size if you discover you are getting too many unwanted files. Multi Core Conversions: If enabled, will use additional CPU cores (if available). This can result in faster conversions, but uses more processing power.